I've really got the Athleisure bug, so I immediately launched into a jacket to go with my new sweatpants. I'm using the black and gray "birchbark" looking knit. I'm hoping the combination will be Armani-esque. One can always dream! This is the pattern I used for my "Phony Missoni" jackets of last year. This time around I'm going to try the shawl collar version. (The illustration kills me!). Because this fabric is super wide, 72 inches, I only ordered 2 yards. Talk about cutting it close. I was just barely able to eek it out. There is some serious Snug Hug usage going on with this jacket. 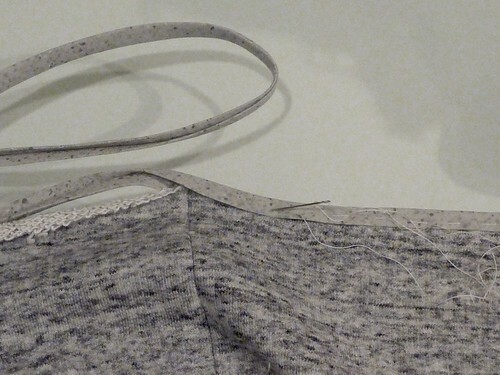 Here a strip is sewn into the shoulder seams to prevent stretching. It works like a charm. The seam allowance edges are covered with cotton bias binding. When the seams are pressed open the Snug Hug is completely hidden. 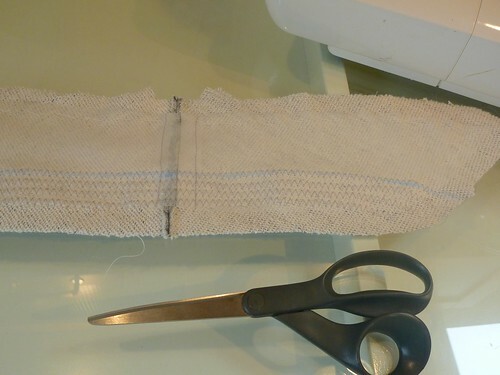 I used this process on the shoulder seams and the side seams. In places where the binding will be especially visible, namely the hem and front facings, I baste it in place before edgestitching. The thickness of the fabric combined with the loopy back made this necessary. Otherwise, I ended up edgestitching into air. Maybe you've been there too? This is a little hard to see, but I interfaced the undercollar with silk organza. A little voice was saying, "what would Laura Mae do? Rows of zig zagging along the foldline help create a little more structure. 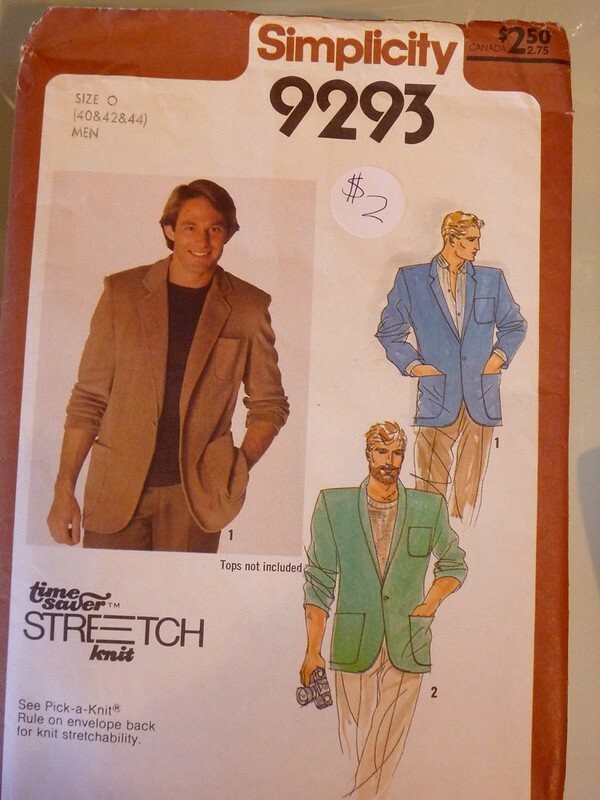 The sleeves are lined with rayon bemberg to make the jacket slip on easily. Otherwise, it's completely unlined. The world's worst buttonhole. This simply won't do! 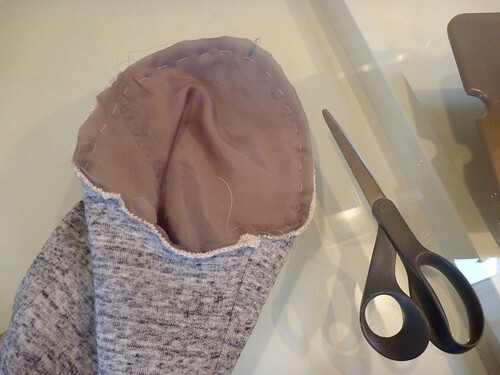 Break out the silk organza and Laura Mae's bound buttonhole tutorial! The BEST! 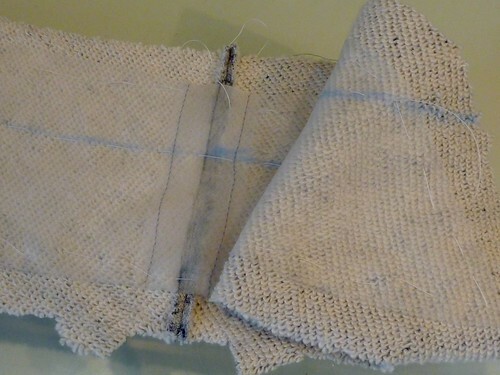 Lastly, the collar and front facings are understitched to help help keep them from rolling out. Below the button the seam allowances are stitched to the facing. Above the button it's reversed, and the lapel / collar seam allowances are stitched to the jacket front and under collar. Sounds confusing, but it becomes obvious when you're doing it. Next time, the Athleisure reveal. (Arctic Blast reveal may be more like it!). Oh this is going to be fabulous. I look forward to seeing the jacket and pants together. Dear Mainely Dad, I've linked to you in the past and have tried leaving comments and now I see you are aware of how crappy blogger is... So I'll keep this short rather than waste time yet again on a long comment that goes phfft!! I enjoy all your garments, great technique, great vision. While you're lining the sleeves for wearing ease, why no lining across the shoulders? That's where this always catches on/for me. What would Laura do indeed? I thought about that, but then it seemed to defeat the "sweatshirt-ness" that I was after.